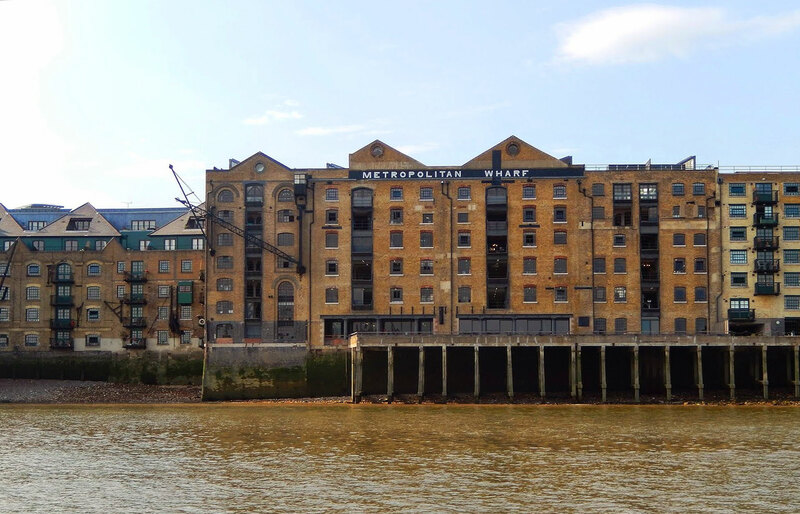 Built in the late 1940’s, the concrete wharf structure on the north bank of the River Thames adjacent to the famous Prospect of Whitby Public House in Wapping was showing serious signs of distress. Working with the consultant John Foreman and Partners we provided technical and budgetary advice for the client, Capital and Counties, for repair and corrosion control of the structure following which we were awarded the contract. Restrictions imposed by the Port of London Authority, the Environment Agency and local residents, compounded by the range of tide levels, resulted in detailed planning of all operations. Working within limited working hours due to the tides, scaffolding was erected from the foreshore below with the working level boards being tied down to prevent flotation at high tide. 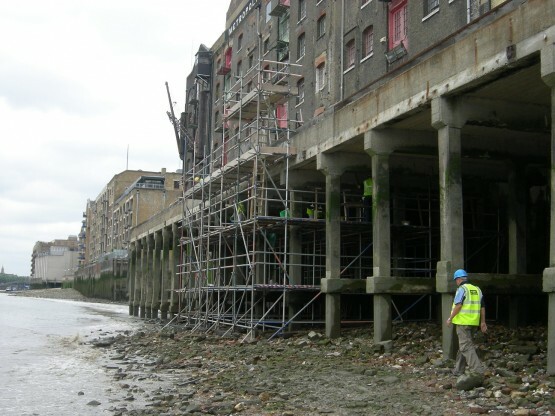 Following a thorough clean of the concrete, on site investigation confirmed that the major problems related to the beams and columns within the tidal zones and the underside of the precast planks supporting the slab above. Fosroc Ltd prepared the repair and protection specification which consisted of high build, hand placed polymer modified repair mortars and free flowing micro concrete. This was followed by the application of 2 coats of a penetrating hydrophobic silane-siloxane to protect the structure from attack from chloride ions and water intrusion. To prevent the formation of new corrosion to the reinforcement in areas adjacent to the newly repaired concrete, Galvashield XP sacrificial anodes were installed and incorporated into the repairs. Once installed, the zinc core corrodes preferentially to the surrounding rebar providing ‘Cathodic Protection’ and therefore preventing incipient anode formation. The contract was completed within the 18-week programme using over 11.5 tonnes of hand placed mortars, 10 tonnes of micro concrete and over 750 sacrificial anodes.